One of my favorite things about summer is getting creative with my food and eating more healthy and light. Salmon is one of my favorite types of fish to eat all summer long whether I throw it in salad, on a sandwich or bake it in the oven like here. It’s always delicious and leaves me feeling like I fed my family something beneficial to their systems. This is a really easy way to whip up some flavor and throw it in the oven, a way the whole family is sure to love. I love making a bunch of extras too so that the following day I can cut the extra salmon up and add it to a cold salad or give it to the kids on a sandwich. 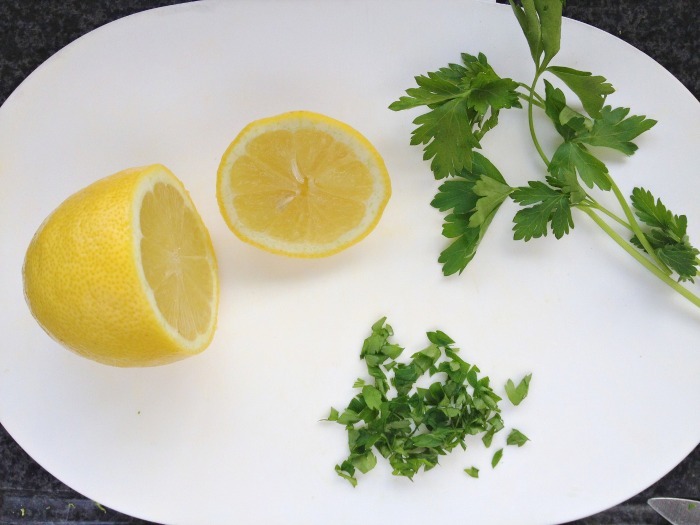 They love the parsley and lemon flavors together. If I do sandwiches I add a layer of Philadelphia cream cheese to the bread. 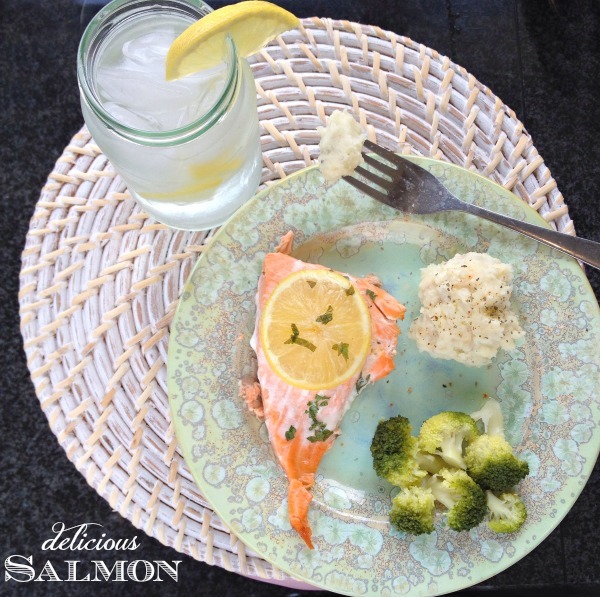 Its a great way to get your kids eating and loving salmon! I promise! I used to really struggle cooking salmon. I would either overcook or uncook it and it’s taken me a while to get the right away of lemon, butter, and parsley and cooking time but I have it now. Some people don’t cook salmon for this same fear but once you have tried and tested a few ways you are sure to find your favorite. 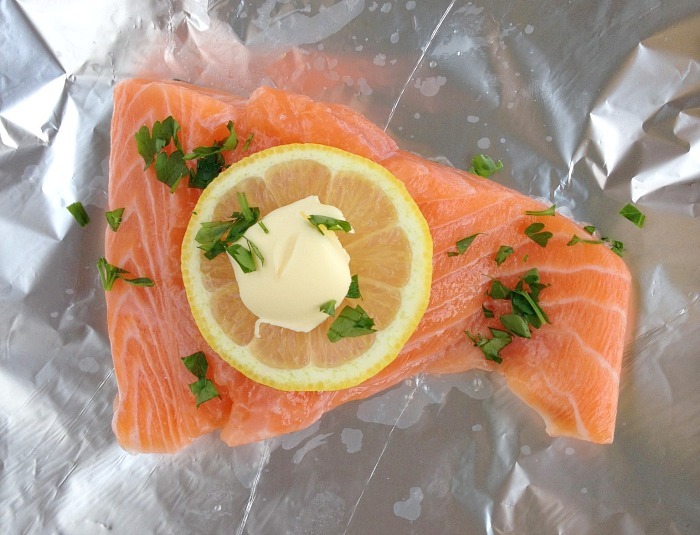 Go on, how do you cook your salmon? Thanks Michelle. I took these photos before I really really got into my food photography so I was a little disappointed with them but I am on holiday and have been making these none stop so it was a great time to share the easy, fast recipe. Me too, I go through stages where I have it all the time then I forget about it and then fall in love with it again. Thanks Vicky for hosting. Love PoCoLo! Thanks hunny. It’s simple as are all my recipes. But love it and the kids do too.